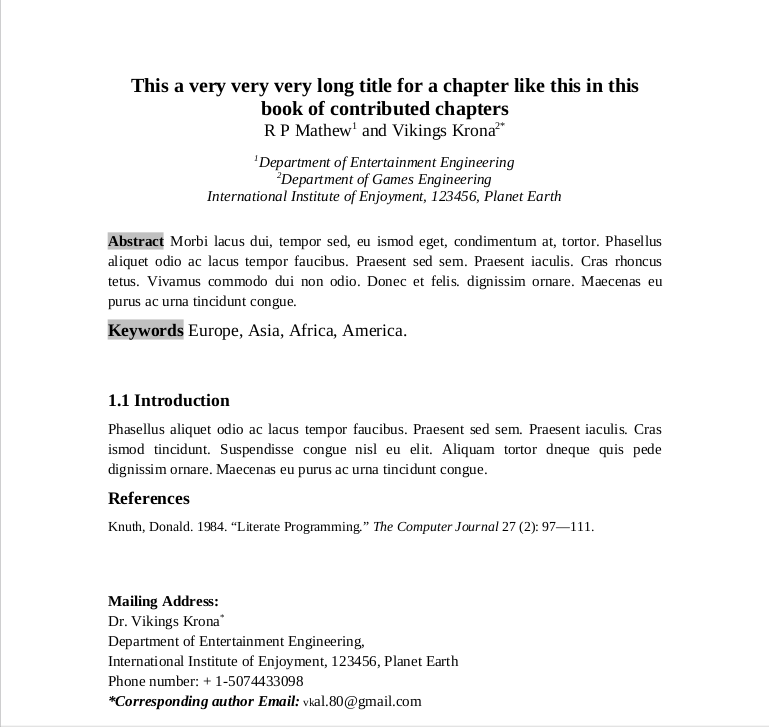 I am trying to typeset a book with contributed chapters. Each chapter has one corresponding author and number of co-authors with various affiliations. In each chapter, I would like to have chapter title in centre followed by authors, affiliations, and contact information of corresponding author (alternatively, contact information may be given in footnote or at the end of chapter). This will be followed by abstract, various headings/sections and at last references for the chapter. Browse other questions tagged chapters author or ask your own question.